Try as I might, I just can’t seem to do it. I can’t crack 35 mpg driving a Toyota Avalon Hybrid. That’s kind of a big deal because, on paper at least, it ought to be easy. The EPA’s estimates for the gas/electric Avalon are 39 mpg on the highway, and 40 mpg for city and combined operation. However, in three tries, your confounded scribe hasn’t gotten close to those numbers. 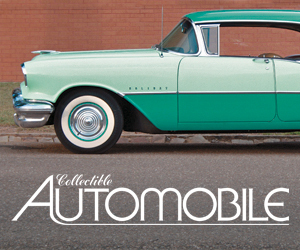 Handsome-looking 17-inch aluminum alloy wheels are standard equipment. First, in 2015, an 89-mile trip with a 50/50 mix of city and expressway miles returned 30.62 mpg. “Eco” and “Sport” modes were used at times during the weekend test. 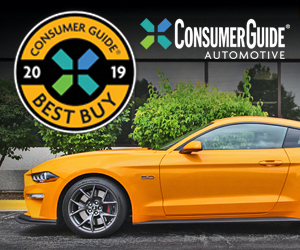 Then, in 2016, the average improved substantially—to 35.0 mpg—after driving 159 miles, 60 percent of that in city-type driving, and mostly in the basic drive mode. Now, in 2017, the longest test stint of the three—170 miles—worked out to 34.8 mpg. 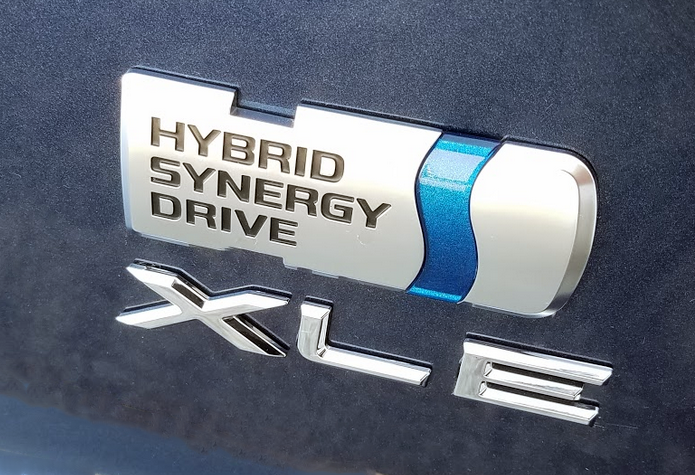 All of that distance was covered in the base mode, but it did involve only 43 percent city driving, and hybrids are best suited to around-town operation. Note that some of the expressway driving came in sustained periods of highway speeds. The Avalon’s spacious cabin is a strong point overall, but driver’s-seat headroom isn’t as generous as one might expect for a large car. Interior materials have an understated, high-quality look and feel. In all that time, nothing has changed about the Avalon Hybrid’s powerteam. A 2.5-liter 4-cylinder engine and an electric motor deliver a peak system output of 200 horsepower driven through a continuously variable transmission that acts like an automatic. Acceleration is adequate from a full stop, but safe highway cruising speed builds easily—and punching up Sport injects a bit of added life to the experience. A further drive-mode option is “EV” for extended electric-motor operation. It will run the car solely on the battery-fed electric motor at speeds of up to 25 mph, but even then for only a short distance. 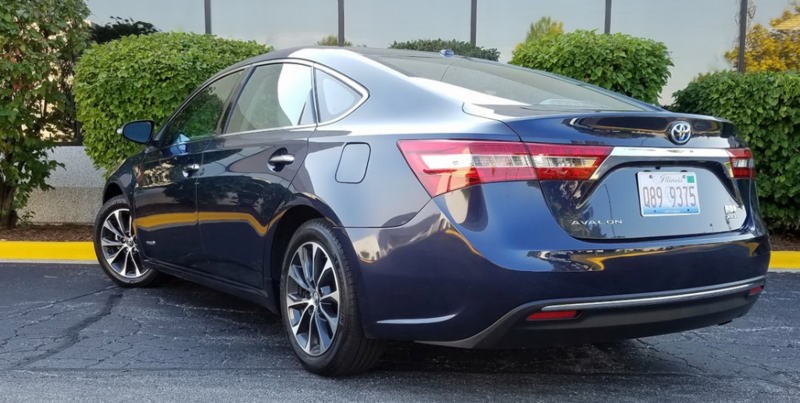 The Avalon’s trunk offers a fairly generous 16 cubic feet of cargo room, but the hybrid hardware means there is no rear-seat pass-through to the interior. What is new for the 2017 edition is the addition of Toyota Safety Sense-P as standard equipment. (All Avalons get this.) This suite of safety technologies brings adaptive cruise control, a pre-collision system with pedestrian detection, lane-departure warning and mitigation, and automatic high-beam headlights to Toyota’s biggest sedan. Consumer Guide®’s 2017 test car was an XLE Premium, which is the middle trim-and-equipment version of the Avalon Hybrid lineup. As such, it comes with features that include leather seats—heated in front—and leather-wrapped steering wheel, memory-setting driver’s seat and exterior mirrors, dual-zone automatic climate control, Entune premium audio system with integrated navigation and Entune app suite, Qi wireless smartphone charger, 17-inch alloy wheels, blind-spot monitoring, rear cross-traffic alert, power moonroof, satellite radio, push-button starting, Bluetooth connectivity, and a rearview camera. 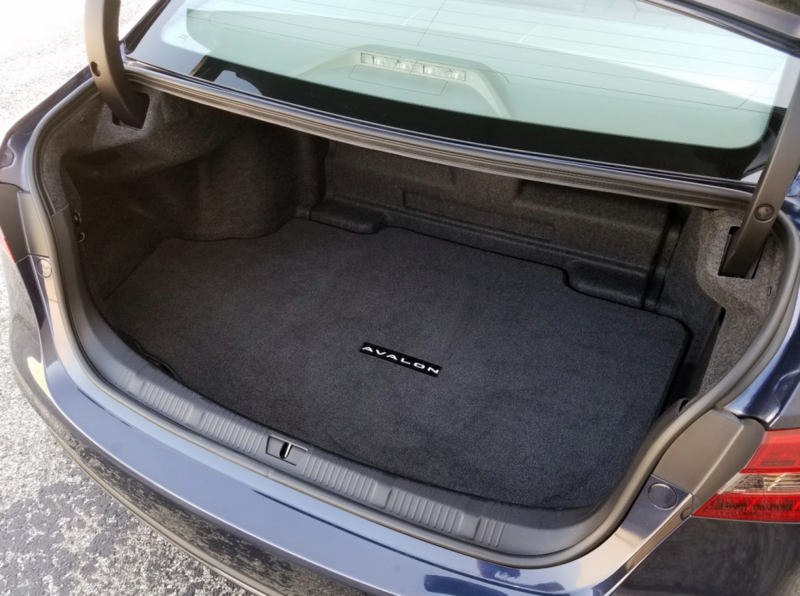 With only a set of accessory mats for the interior and trunk added to it, the test car came to $39,789 with delivery. Passengers will enjoy a composed ride in a quiet cabin. Seats are comfortable and supportive, with power adjustment for both driver and right-front passenger seats. Soft-touch surfaces are evident around the cabin. Driver vision is good to just about every angle. The rear seat presents excellent legroom in the outboard positions, and there’s enough space for three adults across the seat—though the middle rider ought to be the shortest of the group. Doors open wide, making for easy ingress and egress. Hybrid-specific “Optitron” electronic instrumentation confronts the driver. A power meter in the left dial tracks from “charge” through “eco” and up to “power” as acceleration increases and brake regeneration takes effect. A speedometer is in the right pod. The audio system, which displays on a 7-inch touchscreen, is simple to program and access. Below this rest key climate controls, with touch points to select things like temperature and fan speed. Seat-heating controls are small rheostats that pop up from the console and allow widely variable settings. Auxiliary/USB ports and the smartphone charger are contained in a covered bin directly under the center of the dash. The Avalon Hybrid XLE Premium is one step below the top-line Limited model. Interior storage up front consists of a small glove box, good-sized door pockets, a fairly large covered console box with an adjustable tray, and two open cup holders. Rear passengers are provided with door pockets, pouches affixed to the back of both front seats, and twin cup holders in the pull-down center armrest. The big trunk is shaped to accommodate easy loading. The gooseneck hinges are covered to protect cargo. The Hybrid does give up a little bit of space at the far end of the trunk for part of the electric-drive system. This also closes off the pass-through that is found in the back seats of non-hybrid Avalons. About the only blot on this scenario is the vexing problem of getting an Avalon Hybrid to match its lofty fuel-mileage expectations. It might not be the car’s fault. Maybe it’s me. Maybe. . . . 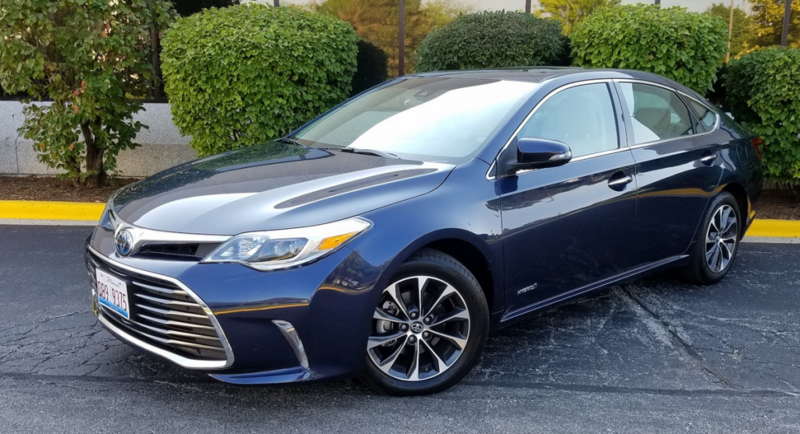 Though we haven’t been able to reach the EPA fuel-economy numbers in the Avalon Hybrids we’ve tested, our XLE Premium’s average economy of nearly 35 mpg is still a respectable number for a plus-sized sedan with decent power. Written by: The Daily Drive staff on October 20, 2017.on October 23, 2017.